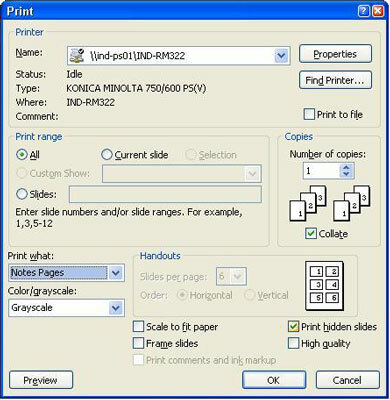 1Choose the Print command from the Office button menu. 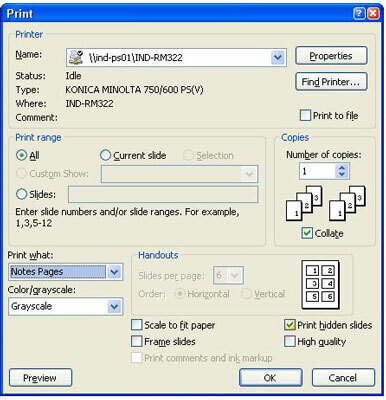 2In the Print What list box choose the Notes Pages option. 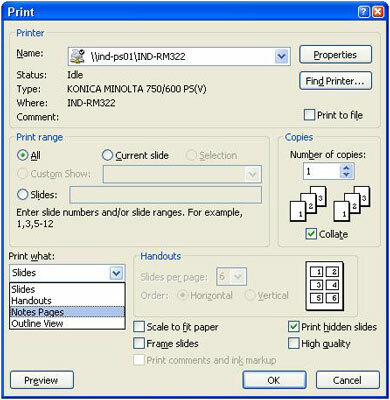 3Select the Print Hidden Slides check box to print notes pages for hidden slides. 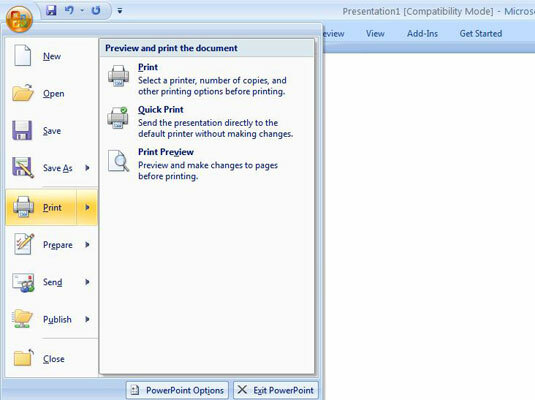 The Print Hidden Slides check box is dimmed if the presentation doesn’t have any hidden slides. 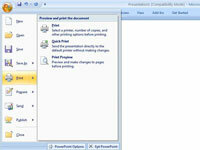 Your notes should start printing, and you’re done!